At the core of SURRENDER is the relationship with and involvement of Aboriginal and Torres Strait Islander people of this land. 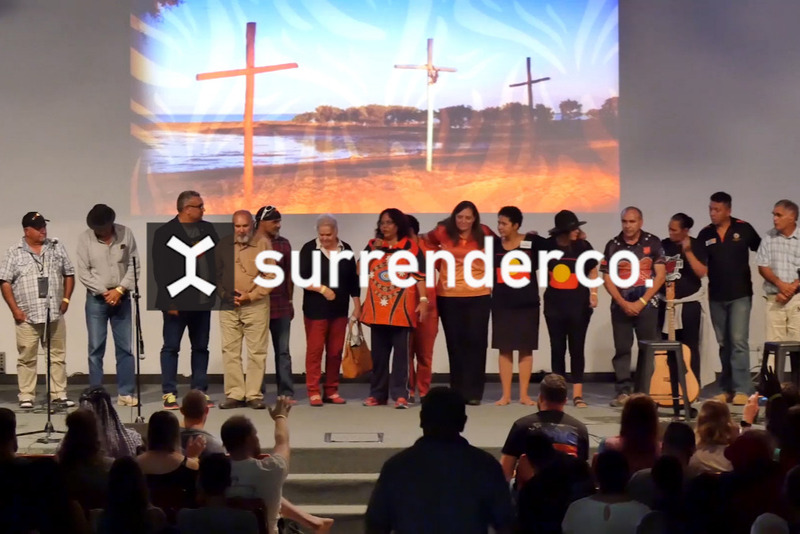 We support Aboriginal and Torres Strait Islander Christian Leaders to be part of the SURRENDER movement each year. A significant number of Aboriginal and Torres Strait Islander peoples and non-Indigenous folk continue to tell us just how important SURRENDER is in building relationships, orienting their hearts and minds to issues of justice, healing, and restoration, that God desires for our land. Through our own learnings and journey alongside Aboriginal and Torres Strait Islander peoples, we at SURRENDER seek to model values in our gatherings and hosting that reflect the God inspired aspects of Aboriginal and Torres Strait Islander cultures and leadership. SURRENDER is an opportunity for the wider church to listen to and learn from our Aboriginal and Torres Strait Islander brothers and sisters. This year, help us financially support Aboriginal and Torres Strait Islander Elders, Leaders, and young people from across the nation, to be a part of building a strong platform for Aboriginal and Torres Strait Islander Christian leadership, voice, and relationships into SURRENDER. We are aiming to raise $10,000 by the 31st of January.